Designed for Apple Watch, the Titanium Band has been designed to be as light as possible while giving you the confidence of a high-end metal link bracelet. Taking advantage of the qualities of high quality titanium, this is our most resistant strap to date. Built with our custom handles, this lightweight and sturdy strap can withstand the toughest conditions. These bands have titanium links and a buckle, have 316 custom stainless steel lugs and can also be adjusted in size. They will fit all Apple Watch models, from Series 1 to Series 4, according to the company. The strap is "designed for wrist sizes ranging from 135 mm to 220 mm", while NOMAD says it is also "designed to be worn daily and resist the elements". 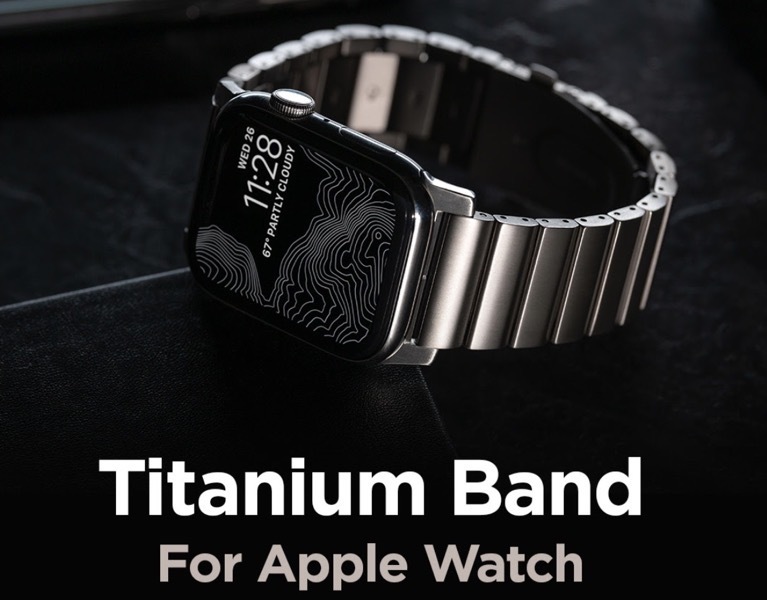 Now, regarding the price, the Titanium Band for Apple Watch costs $ 242.95 USD (around $ 321 CAD), which is definitely in the high range of accessories for the watch band. Click here for more information about the NOMAD Titanium band for Apple Watch.